There are myths and misconceptions about just about every type of schooling out there. There are misconceptions about middle school teachers who just don’t care, when the vast majority of them really do care and put up with lesser pay in order to teach the next generation. There’s the myth that Montessori children walk all over their teachers, when in fact it’s an intentional part of the pedagogy. Then there’s the idea that every charter school is using untested methods to teach kids, when in fact many of their teaching styles have been in use for decades. 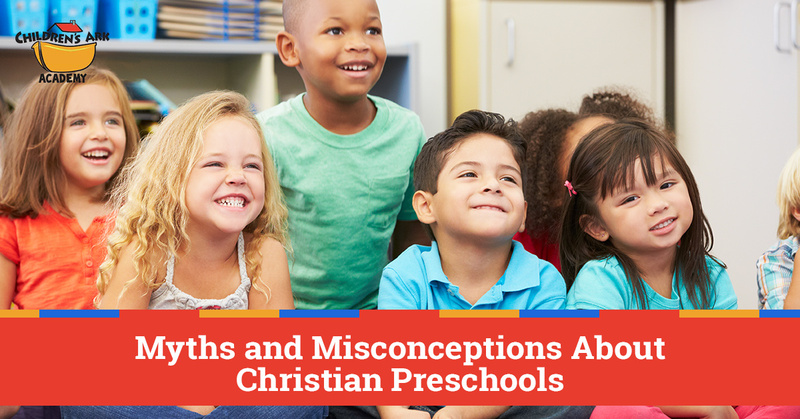 So with so many misconceptions about every other type of teaching, it stands to reason that there would be some myths surround Christian preschools and daycare centers. That’s what we’re here to discuss today. We know that there are some reasons why people would never consider a Christian preschool, and we’d like to address them. Some of these will specifically address Christian childcare, while others will be more about religious and church schooling as a whole. Let’s get to it! There’s no doubt that most Christians still have some problems with certain ideas the scientific community brings forward. But those subjects are few and far between, so to suggest that “science is bad” would just be an overreaching generalization. We all benefit from science every day, whether it’s the technology we use or the medicine we take. Science is great more often than it’s not! While there won’t be any Bunsen burners or laboratory beakers used at our Christian preschool, that doesn’t mean that science isn’t taking place. Outside of bonafide miracles, God made the world to work in a certain way, and the fun of science is finding out how He set these rules up in the first place! God made the world, and discovering the wonderful way he put it together can be a great source of wonder for those in our preschool and daycare. Sometimes that’s as simple as seeing how gravity works when a ball is bounced, or how water and oil don’t mix. There are plenty of opportunities to teach children about the wonders of science in age-appropriate ways, whether they’re two-years-old in our Christian daycare or five-years-old in our Christian preschool. This one is simply not true. Whether you’re only sending your child to Christian child care for their preschool years or plan for them to attend a Christian high school, you’ll often end up getting an equal or better education from Christian schools. And most Christian schools have no problems telling you about it! They’ll often brag about their awards, graduation rates, average GPA of their students, and more on their marketing materials. Why does Christian education often produce such results? Some of it can be that Christian schools produce more well-rounded students, ones that approach problems philosophically as well as scientifically. Additionally, prayer (scientifically speaking) can calm the mind in ways similar to meditation; taking time to pray in school can relax students and get them ready to tackle upcoming problems. We’re not saying that every Christian school is going to provide a better education for children, because it depends on the school in question. But there’s no doubt that the kids who come to our Christian preschool are just as ready — if not more so — for kindergarten as children who attend other forms of early childhood education. Deuteronomy 6 has a lot to say when it comes to the Commandments. It sounds like thinking about the Word is something we should be doing at every moment, and that it’s all we should talk about. If all we did was to talk about God and his Word every moment your child was with us, it wouldn’t necessarily be against what we hear in the Bible. But we don’t know a single person in the world who adheres to these admonitions without fail. Before work, our teachers talk about what they did last night and how good the coffee is this morning. When the kids are here, we discuss what type of toys they like and what animals they like to draw. We talk about math and science and literature at age-appropriate levels, because we’re interested in teaching the kids about the world that they’ll be living in and helping them be good Christians citizens of that world. BUT…as a Christian early childhood education center, it’s wonderful to be able to reference God without fear of reprisal from legal entities or parents of other religions, a situation that might occur in a public school. When kids don’t get along, we can explain the importance of apologizing for both societal and religious reasons. If they’re sad, we can express God’s love to them as well as our own. While every word we speak might not be about God as Deuteronomy suggests, we relish the opportunity to bring Him into many of our conversations with children. Some parents are afraid that their child will be isolated if they attend a Christian school. They think that they’ll live in a Christian “bubble” and be unable to transition to a public school, whether that’s when they reach high school or if they attend a state university. To some degree, we can understand that, but only once a child reaches the highest levels of education. Parents often fear their child missing out on the facilities a public school has to offer, whether it’s a bigger football stadium, a larger theater, or a more well-stocked science lab. 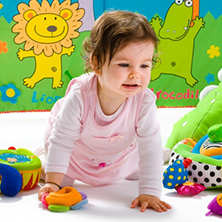 Trust us when we say that these differences don’t matter at the daycare and preschool level. 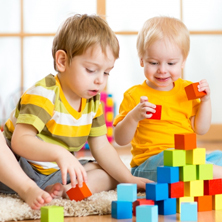 Children exiting our preschool and heading into kindergarten have had access to the same types of educational materials and high-quality teachers. But what about ostracization? Some parents believe that Christians will be avoided when they eventually hit the public schools. From personal experience, we know very well that those who have attended Christian schools are just as accepted when they move from middle school to high school. (If there were going to be any problems at all, that’s when it would happen.) And let’s be honest, Alpharetta is in the South, an area of the country in which Christian schools aren’t exactly rare! No one is being judged for their Christian education…especially kids heading from preschool to public kindergarten! We’d love to continue the conversation with you about the importance of Christian education for your child. We know it’s an important decision for you about whether to send your child to public preschool, Christian preschool, or a preschool at a church. If you visit us to see our facility and meet our teachers, we think the answer will be an easy one for you. 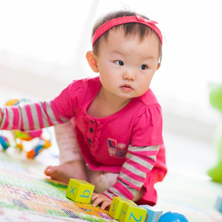 Contact us today to get a tour of our early childhood education center!